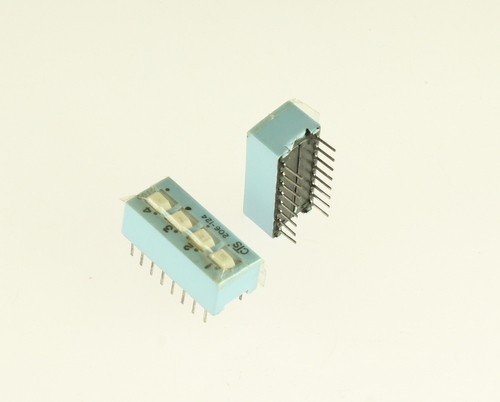 SPDT slide DIP switch. 4 positions. Raised.